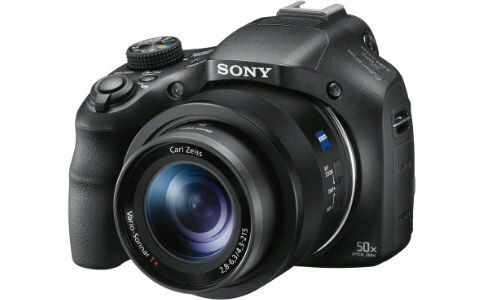 Sony HX400V Digital Camera is rated 4.6 out of 5 by 551. Rated 4 out of 5 by Shakey Bluesman from Fantastic zoom This is a great travel camera with loads of features and the option of full user control right up to fully automatic. 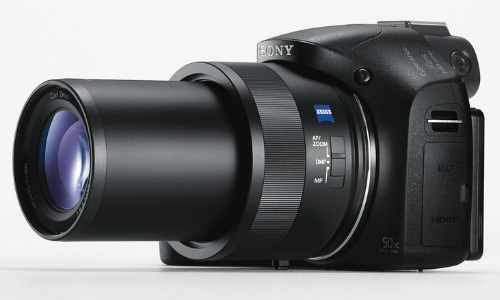 The Zeiss 24-120mm, ( 35mm equivalent) is near excellent and it's even possible to hand hold at 1200mm in good light. The lens is very sharp, which it should be wearing the Zeiss badge. My main gripe is that the control dial moves too easily. Every time you take it out of the dedicated case the dial has moved. Why didn't Sony put a centre button in the dial which must be pressed before the dial will move? I have these on my a99ii, a99 and 77ii. This is my only reason for giving 4 rather than 5 stars. I'm really pleased with my purchase. Rated 5 out of 5 by worldview from Advised by an Expert Had looked at the Bridge Camera as a place to start with photography, and the Shop Expert confirmed this, as the Bridge covers all aspects, near, far and panoramic. 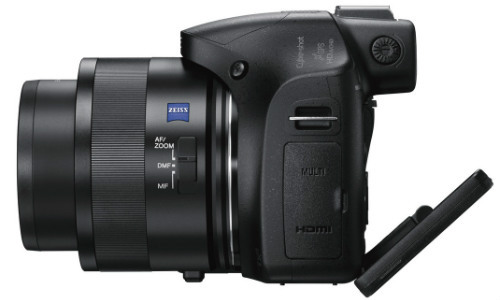 My top choices were examined for the first time, the Sony was the surprise, it ticked all the boxes and the grip felt right, because the HX400 is larger then the rest. I also wanted a Camera that would test all aspects, and it did not disappoint, the Zoom is incredible, and the fact you can use a view finder was a must for me,. This is the first step to a future DSLR. The advice was spot on, and have not been disappointed with any shot I have taken to date. Rated 5 out of 5 by Johnatbeccles from GLAD I BOUGHT THIS i'VE ONLY HAD THIS CAMERA FOR A WEEK AND THE WEATHER HAS BEEN DULL AND MISTY AND MISERABLE. HOWEVER I HAVE BEEN EXPERIMENTING WITH ALL THE SETTINGS AND AM SO PLEASED i CHOOSE THIS CAMERA OVER ALL THE OTHERS I LOOKED AT. THE RESULTS, CONSIDERING THE WEATHER, ARE BRILLIANT. THE ZOOM IS FANTASTIC EVEN THOUGH IT WAS HAND HELD AT MAXIMUM ZOOM THE RESULTS WERE MUCH SHARPER THAN I EXPECTED. PICTURES TAKEN INDOORS WITH ONLY ROOM LIGHTING AND NO FLASH WERE ALSO MUCH BETTER THAN EXPECTED. I'VE STILL GOT A LOT TO LEARN AND EXPERIMENT WITH BUT WOULD FULLY RECOMMEND THIS PURCHASE TO ANYONE. I AM FINDING THE 'IN CAMERA' HELP VERY COMPREHENSIVE AND USEFUL. I HAVE HOWEVER PRINTED OUT THE FULL MANUAL OF 175 PAGES FOR ARMCHAIR REFERENCE. Rated 5 out of 5 by Losana from So far very good, lots more for me to explore Bought this a few weeks ago to replace a broken bridge camera that was years old but much loved and so far I love this one as well. I haven't even managed to fully explore all it can do and have really only used it in auto mode and it has yet to take a poor photo, they've all come out lovely. Being able to operate it from my mobile phone is very useful for product shots when the camera is on a tripod just don't use a cheap tripod as the camera is heavy and the weight isn't evenly balanced across its width, it is significantly heaver to the lens side, maybe this is standard on cameras now with advances in lens technology but my previous one was well balanced so it's taken some getting to used to. Rated 4 out of 5 by AngloIrishScot from Excelent combination of features I thought long and hard about the HX400V, and decided on it because of its Zeiss lens, barrel option for zoom and manual focus, and its electronic view finder. I have only used it an a couple of occasions. The lens is A1, (awesome zoom! ); the barrel controls are good though not quite as smooth and responsive as those on my old manual SLR; the EVF has a very natty automatic turn on, but what you see is smaller than on some other EVF cameras. The picture results so far are brilliant and I am looking forward to more use. The camera fits my hand delightfully though I am still finding out the best grip for holding it portrait. On screen help was a surprise and is a good feature. Overall very pleased. Rated 5 out of 5 by Imad from Simply The Best I have been looking for a camera in between the point and shoot and SLR classes for a while. 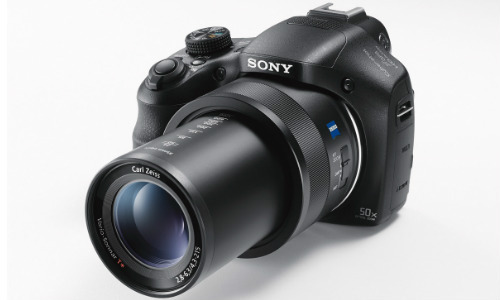 After looking and studying what is on the market in this class, the SONY HX400V came out the clear winner. Features like the amazing zoom, Wi-Fi, NFC, GPS, Superior auto to totally Manual, Incredible HD movies, peaking feature, Downloadable Apps and a superior picture quality with the least setting up ( just choose superior auto). just look at the photograph of the moon I took ( hand held), amazing :). It was worth the money just to take this one photo :). Rated 4 out of 5 by robin6 from Great Camera I bought this camera just a couple of weeks ago, and i am so glad i did. I enjoy taking pictures of landscape and wildlife and wanted a camera that enabled me to do this. I done my research first, and found it had everything i was looking for, i particulary wanted a black and white mode, which this camera has. I was a little wary of ease of use, as my old camera was only a little compact one with a tiny zoom, and i had never used a bridge camera before, but i had nothing to worry about, it is easy to use has a great zoom takes superb clear pictures, has lots of features, i can't wait to get out and about each weekend to use it. Rated 5 out of 5 by Bishopsdown from Sony HX400V Bridge Camera Bought 1 month ago after looking at full DLSR cameras. 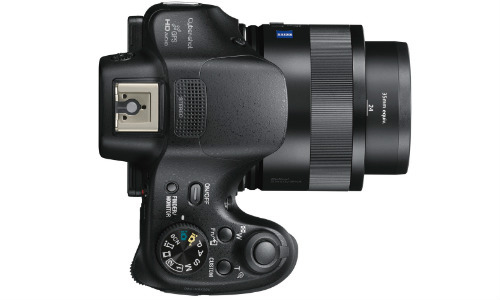 Wanted full flexibility of DLSR, but with one lens instead of the hassle of changing lenses to get a decent zoom. This camera has all advantages of more expensive options whilst maintaining good picture quality. Added advantages include GPS and Wifi plus ability to select 3:2 format, meaning that printing 6"x4" photos does not involve cropping leading to loss of part of photo i.e. part of head missed out in print. I would thoroughly recommend this camera to anyone.